"One of the first science experiments in Science A was to go outside and count the number of living creatures we could find," writes Catriona W of Uganda. "This was an incredibly rewarding experience, and captivated the boys. Now they always look forward to the experiments and practical demonstrations, and these provide a far better foundation than material that would be covered in a classroom setting. 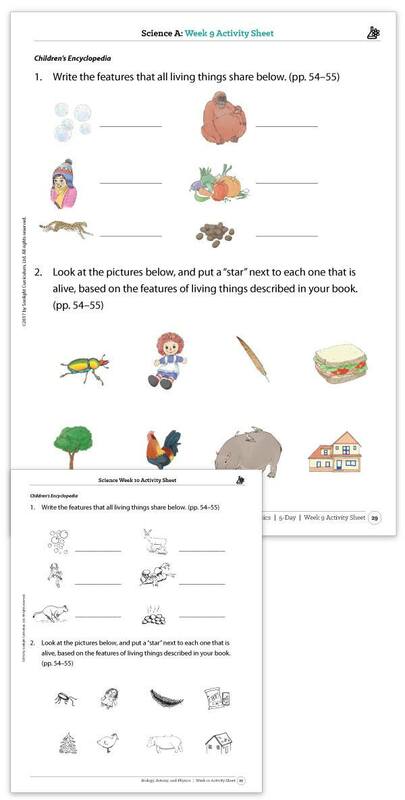 We love the way Sonlight builds around real-life experiences and examples, and has plenty of suggestions for practical tasks, field trips, and other ways to bring the material to life." Here, 6-year-old Isaac inspects a grasshopper he found. There are many reasons we choose Sonlight each year: We love the books, the Christ-centered curriculum and we really do love to learn! One of my prayers for homeschooling was that our children would have fun while learning together. 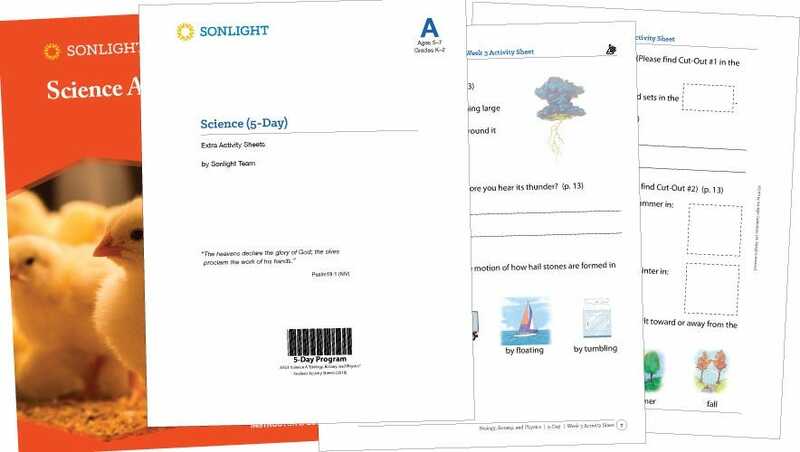 Sonlight helped answer that prayer by providing great Readers, Read-Alouds, History lessons, Science experiments and Bible memory verses set to music that we can enjoy together. On this beautiful summer day, they took some of their favorite books outside to enjoy with each other. In their fifth Sonlight year, Karli (5) is using Core A with Language Arts 1 and Samantha (8) is using Core D. They're studying Science A and E together. The 2017 Science A Guide has all-new, full-color illustrations for your children's enjoyment. If you have an earlier version of this IG, use your Repurchase Discount to get the new IG for half off. Look at the difference!